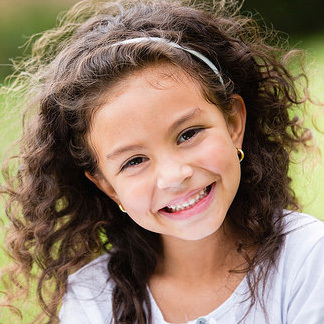 Below are common questions and our answers about the best way to care for children's teeth. When should I schedule my child's first visit to the dentist? We recommend that you make an appointment to see the dentist as soon as your child gets his first tooth. The American Academy of Pediatric Dentistry recommends that children be seen by six months after their first tooth erupts, or at one year of age, whichever comes first. All dental specialists (pediatric dentists, orthodontists, oral surgeons, and others) begin by completing dental school, then continue their education with several years of additional specialized training. During training in the field of pediatric dentistry, your doctor gained extensive knowledge and experience in treating infants, children, and adolescents. Pediatric dentists enjoy working with children, and bring to each patient our expertise in childhood development and behavior. Because our office is geared toward young visitors, you'll find that our staff, as well as our office design, decorations, and activities all work together to provide an especially friendly and comfortable environment for children. What happens during my child's first visit to the dentist? The first visit is usually short and simple. In most cases, we focus on getting to know your child and giving you some basic information about dental care. The doctor will check your child's teeth for placement and health, and will look for any potential problems with the gums and jaw. If necessary, we may do a bit of cleaning. We will also answer any questions you have about how to care for your child's teeth as they develop, and provide you with materials containing helpful tips that you can refer to at home. The best preparation for your child's first visit to our office is maintaining a positive attitude. Children pick up on adults' apprehensions, and if you make negative comments about trips to the dentist you can be sure that your child will fear an unpleasant experience and act accordingly. Show your child the pictures of the office and staff on the website. Let your child know that it's important to keep his teeth and gums healthy, and that the doctor will help him do that. Remember that your dentist is specially trained to handle fears and anxiety, and our staff excels at putting children at ease during treatment. We generally recommend scheduling checkups every six months. Depending on the circumstances of your child's oral health, we may recommend more frequent visits. Baby teeth aren't permanent. Why do they need special care? Although they don't last as long as permanent teeth, your child's first teeth play an important role in his development. While they're in place, these primary teeth help your little one speak, smile, and chew properly. They also hold space in the jaw for permanent teeth. If a child loses a tooth too early (due to damage or decay) nearby teeth may encroach on that space, which can result in crooked or misplaced permanent teeth. Also, your child's general health is affected by the oral health of the teeth and gums. What's the best way to clean my baby's teeth? Even before your baby's first tooth appears, we recommend you clean his gums after feedings with a damp, soft washcloth. As soon as his first tooth appears, you can start using a toothbrush. Choose a toothbrush with soft bristles and a small head. You most likely can find a toothbrush designed for infants at your local drugstore. At what age is it appropriate to use toothpaste to clean my child's teeth? Once your child has a few teeth, you can start using toothpaste on the brush. Use only a tiny amount for each cleaning, and be sure to choose toothpaste without fluoride for children under two, because too much fluoride can be dangerous for very young children. Always have your child rinse and spit out toothpaste after brushing, to begin a lifelong habit he'll need when he graduates to fluoride toothpaste. Children naturally want to swallow toothpaste after brushing, and swallowing too much fluoride toothpaste can cause teeth to stain. You should brush your child's teeth for him until he is ready to take on that responsibility himself, which usually happens by age six or seven. Be sure that your child brushes his teeth at least twice a day with fluoride toothpaste. Flossing daily is also important, because flossing can reach spots between the teeth that brushing can't. Check with your pediatric dentist about a fluoride supplement which helps tooth enamel become harder and more resistant to decay. Avoid sugary foods and drinks, limit snacking, and maintain a healthy diet. And finally, make regular appointments so that we can check the health of your child's teeth and provide professional cleanings. Even children's sports involve contact, and we recommend mouthguards for children active in sports. If your little one plays baseball, soccer, or other sports, ask us about having a custom-fitted mouthguard made to protect his teeth, lips, cheeks, and gums. We recommend taking X-rays around the age of two or three. The first set consists of simple pictures of the front upper and lower teeth, which familiarizes your child with the process. Once the baby teeth in back are touching one another, then regular (at least yearly) X-rays are recommended. Permanent teeth start coming in around age six, and X-rays help us make sure your child's teeth and jaw are healthy and properly aligned. If your child is at a high risk of dental problems, we may suggest having X-rays taken at an earlier age.